“Today’s smartphones can take pretty crisp pictures, so buying a regular camera might sound like a waste of money. Now imagine buying a fully manual Leica digital camera that, with a body and lens, can cost as much as $20,000. 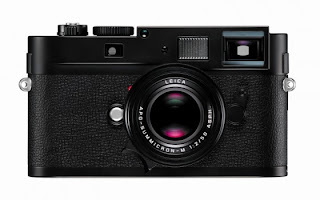 He continues to explain the differences between rangefinder and DSLR cameras and lists some of the various Leica cameras currently on the market. Of course that includes the Leica M and ME. But he makes special mention of the Leica M Monochrom. 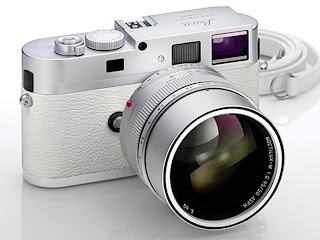 “Leica also offers the Leica M Monochrom, an 18-megapixel camera that can shoot only black and white. Some people might ask why anyone would buy a camera that cannot even take a color picture, but Leica has poured years of research and development into optimizing the sensor on this camera for the subtlety of black-and-white photography. The article makes special mention of what sets Leica lenses apart from their competition, especially in terms of performance. Mr. Rockwell notes that Leica’s lenses are still assembled by hand in Germany. He goes on to say that the control he has with a manual Leica lens made him realize that today’s abundance of buttons and features on most cameras often makes people take poorer pictures. 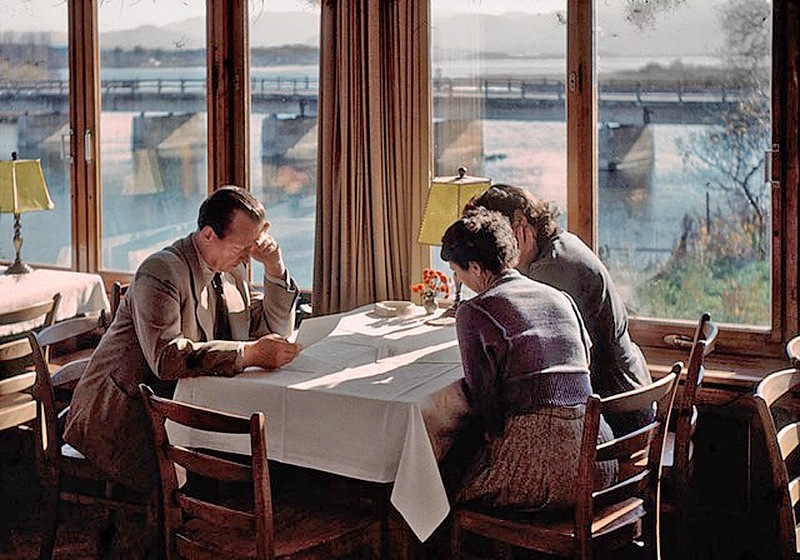 Nick Bilton finishes the article by warning that buying a Leica does not automatically allow one to take the same photos as the world’s best photojournalists. He finishes by saying that it is not the camera that takes good pictures, that it is the person holding it. People often wonder if Leica makes their own glass for the manufacture of their lenses. They used to, as a matter of fact, they operated their own glass research lab where they developed many of the exotic types of glasses that are used in their lenses today. However, for a relatively small company, that proved to be unsustainable, and they closed the lab as well as their glass manufacturing operation. The Leitz Glass Laboratory, which operated until 1989, was the driving force of Dr. Gustav Weissenberg, of the Mineralogical Institute of Marburg, Germany. The Institute grew crystals, and Weissenberg’s idea was for it to create optical glasses as well as to meet the demands by optical designers for high refraction glasses to correct aberrations. He wanted to replace the highly radioactive thorium oxide in existing glasses with an oxide free of thorium. So, in 1949, the Leitz brothers established a glass laboratory within their company to pursue Weissenberg’s research. After lengthy experimentation the glass laboratory discovered that lanthanum oxide offered the best chances for success. They found that glasses could be created with a refractive index of n 1.7. However, such glasses could not be made in large quantities because their strong propensity for crystallization made it difficult to prevent crystal grooves, or striae. Other substances, such as zirconium oxide yttrium oxide, and tantalum oxide, had to be incorporated to produce more stable high-refraction glasses in large numbers. Leitz then granted the German company Schott a license to produce the new LaK 9 glass exclusively for Leitz. But for glass types with indices of refraction higher than ne 1.8, it was difficult to obtain enough chemicals with sufficient purity at a reasonable cost. At the time, one kilogram (2.2 lbs.) of 99.99 percent tantalum oxide cost the equivalent of nearly $200.00. 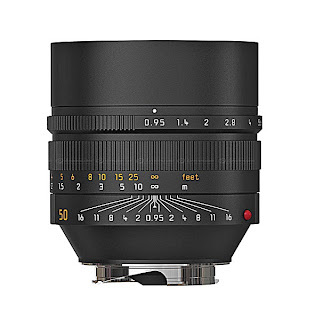 In 1966, Leitz introduced the 50mm f/1.2 Noctilux, which incorporated aspherical surfaces. Then years later, it was producing the 50mm f/1.0 Noctilux , which did not involve aspherical surfaces. This was made possible by still another new type of optical glass: one with a higher zirconium oxide content. The company was seeking a lens with a maximum aperture of f/1.2, for which optical glass with a particularly high index of refraction was necessary. Ultimately, it wanted to double the maximum aperture of the 50mm f/1.4 Summilux lens to f/1.0. The higher zirconium oxide content permitted production of the 900403 glass with a refractive index of ne 1.9005 and a dispersion value of ny 40. These developments were not without difficulties, however. The new lenses utilized glass with a very high melting point of nearly 1600 C (2912 F). That came close to the melting point of the platinum crucibles. 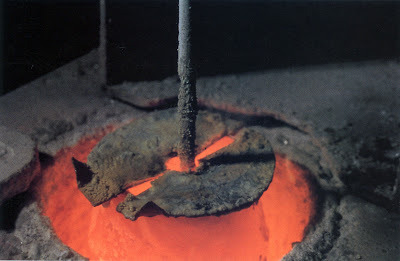 Also, the shape of the stirring tools in relation to the viscosity of the molten glass was important for the homogenization of the glass. 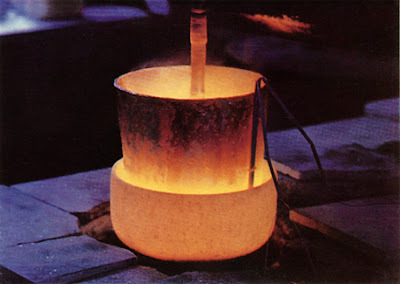 So, the temperature of the melt in the crucible had to be lowered considerably before it was poured out. Workers then had to cool the slabs at a carefully controlled rate over 10 to 12 days and nights in order to prevent molecular tension. 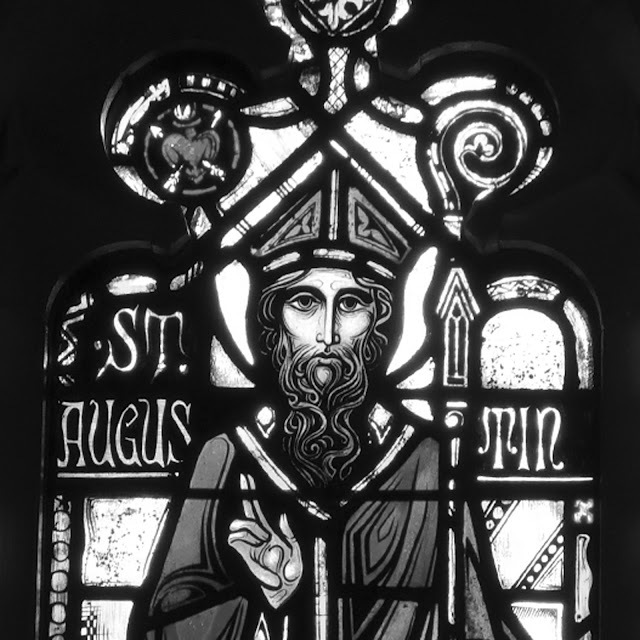 Furthermore, the glass was still quite susceptible to crystallization. Another area of investigation at Leitz was correction of chromatic aberrations in apochromatic lenses with long focal lengths. Fluorite, grown in single crystals, possesses such anomalous partial dispersion for correction of the fourth color in optical glass. Leitz competitors liked to use these calcium fluorite crystals for lens elements in telephoto lenses, but Leitz did not regard them as suitable for photographic lenses because they have very poor shape retention. Also, because of their low index of refraction of only ne 1.43, the fluorite crystals require strong curvatures, which are disadvantageous. Leitz preferred to search for a true glass with an amorphous structure. The company discovered that the fluorites remained stable in metaphosphate suspensions. By incorporating several fluorites, it was able to optimize the proportions so as to avoid creation of striae during the cooling process. Eventually it succeeded in developing a true glass with anomalous partial dispersion and a refraction index greater than ne 1.544. With that, Leitz became the first lens maker to manufacture such lenses. The 800mm f/6.3 Telyt-S was such a lens [see blog article “Dancing Bear and his Magic Lens”]. It attracted a great deal of attention at the 1972 Olympic Games in Munich. 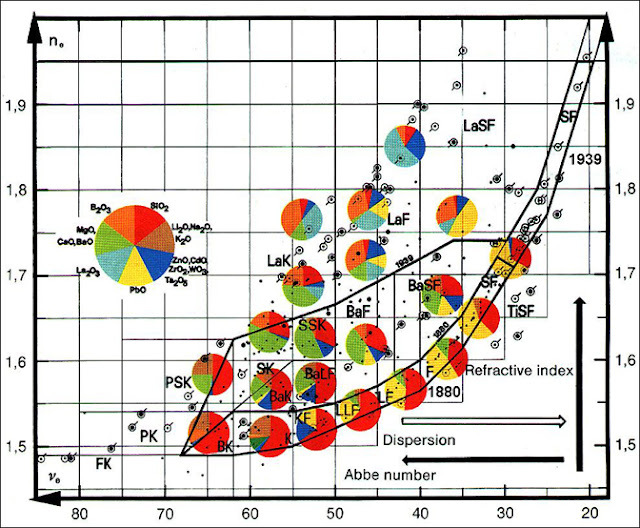 A few years later, with the addition of titanium oxide, Leitz was able to produce glass with an anomalous partial dispersion value of ny 66.6 and a refraction index of 1.544. This glass was used in the 180mm f/3.4 APO-Telyt, which ranks to this day as one of the best lenses ever made. Since then, the company has made a number of lenses with apochromatic correction, and it is creating new ones regularly. 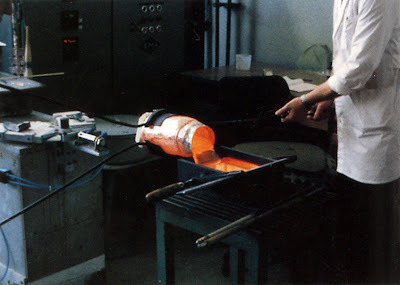 Overall, the Leitz Glass Laboratory developed 35 new glasses from 50,000 experimental melts. For a time, these glasses were used exclusively in Leica lenses. 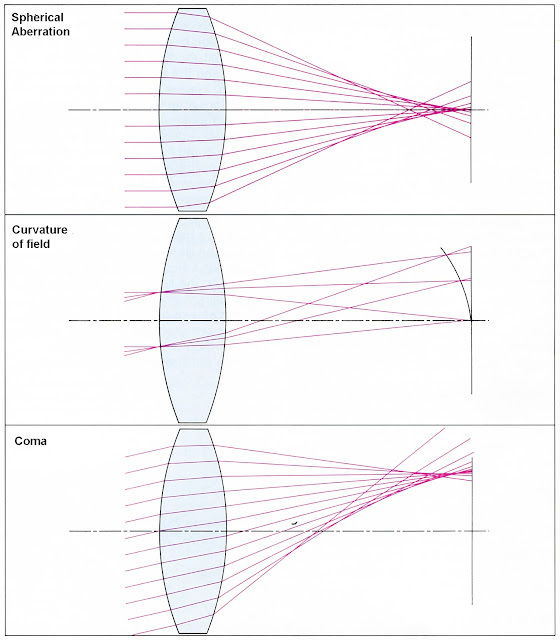 Without the laboratory, in fact, most of the modern lenses of the period 1949 to 1989 would not have been possible. Because of its work, the company produced up to 10 metric tons of glass a year, partially because of close communication between glass researchers and lens designers. Other large glass manufacturers were often behind Leitz/Leica because optical glass is of only minor importance to them. Phototropic glasses, construction glasses, television tubes, baby bottles and the like are their real moneymakers. When these companies do undertake to develop optical glasses, it is only for those for which they anticipate a large demand. It was the exotic wishes of the Leitz Company that permitted it to develop the glasses it did during the 40 years it held sway in this area. Once it was possible with new technology to derive maximum performance from optical glasses, however, Leica closed the Leitz Glass Laboratory. The growing number of glass manufacturers and new methods of processing glass and manufacturing lens elements also made this desirable from a financial standpoint. However, some of the rare glasses developed by Leitz are still not available to any other lens manufacturer. Instead Leitz has these glasses made exclusively for them by other companies like Schott, for instance. Still, the company looks back with pride to the breakthroughs of the researchers and designers at the laboratory. 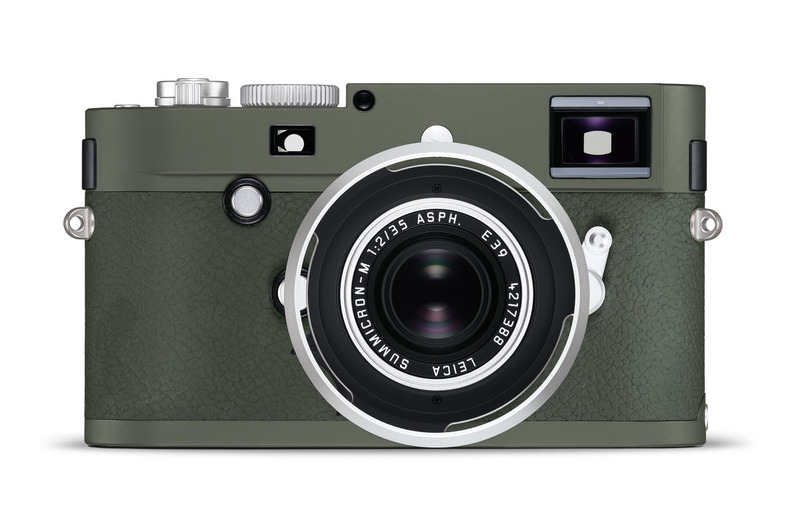 Leica Camera is pleased to present the Leica M-P 'Correspondent' designed by Lenny Kravitz for Kravitz Design. Movies shot with CW Sonderoptic's Leica Summilux-C lenses had an award-winning time. 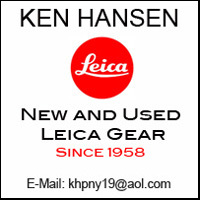 Every once in a while we are surprised by some unexpected news regarding Leica and its history. Most Leica aficionados are familiar with Oscar Barnack. After all, he is the father of the Leica and 35mm photography as we know it. 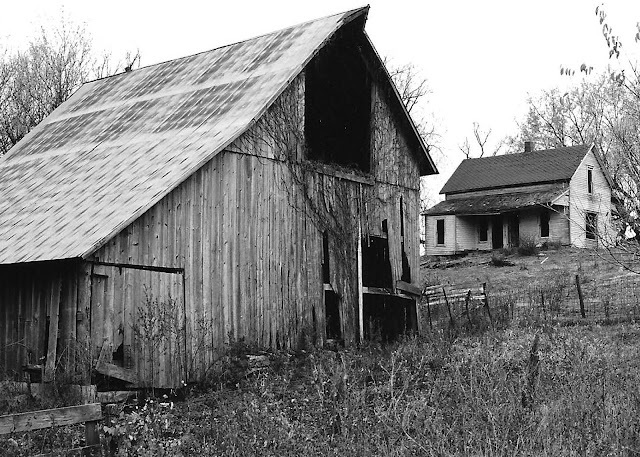 Few, however, are aware that there are two other Barnacks with a connection to the Leica, Oskar Barnack’s children Conrad and Hana. I have been looking at the Blog and wondered if you would be interested in this picture taken by my father in 1947, the man on the left is Conrad Barnack, son of Oskar. which is in great condition after nearly 70 years. I am a photographer myself and always feel a connection with this part of the medium’s history, which I thought I would share with you. Barnack was particularly fond of Hanna’s blond locks; many photographs show her alone, several together with Conrad. There are only a few images of Conrad alone. A comparison with later pictures of the two indicates that these were taken in the summer of 1914. Conrad had started going to school, which is when boys began to wear sailor shirts. The gaze of the shy child is already mixed by the saucy expression of a future rascal. The children knew to keep still when their father was taking a photograph – this was true of the Ur-Leica too, as the film was not very sensitive. This is apparent from the shadows, which are not very differentiated. This is a very early image taken with an Ur-Leica. Unfortunately their site does not show any other pictures of Barnack’s children at all, and neither do any other. But through the efforts of Chris Dorley-Brown and liveauctioneers (www.liveauctioneers.com) who gave us permission to use these pictures of Conrad and Johanna, we are able to learn a little bit more about his descendants. 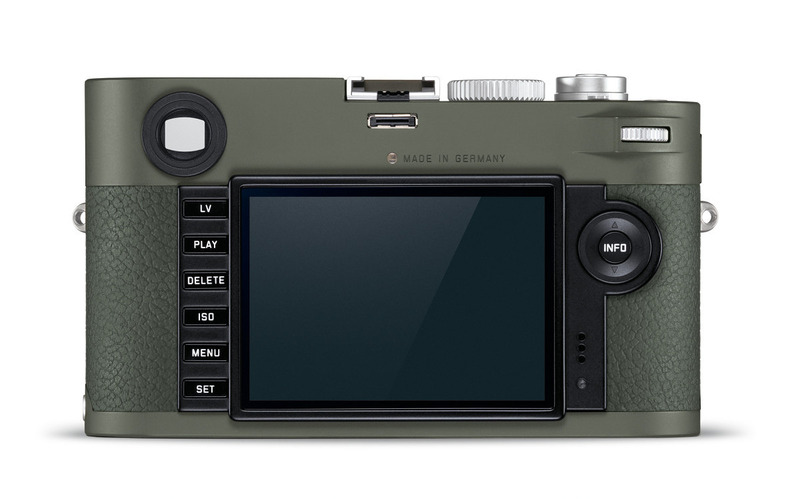 Leica has announced a limited edition of the Leica M-P (Typ 240), the Leica M-P Safari. The camera comes as a set, complete with a silver Summicron-M 35mm f/2 ASPH complete with a round, silver lens hood. The set also includes a brown cowhide carrying strap along with color matched SD card and business card holders. The sets will be limited to just 1500. 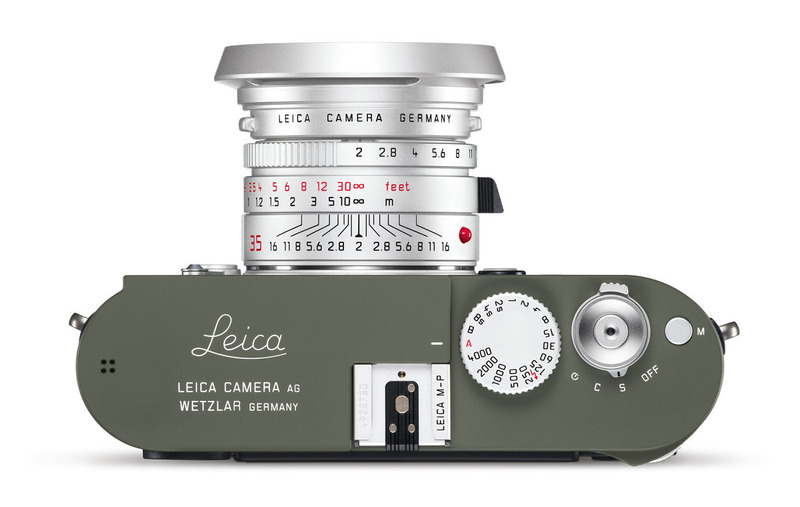 Unlike special editions in the past, which always carried a higher price tag, this set will be offered for $9,900 which is actually a savings of over $1,300 when compared to the regular Leica M-P and 35mm Summicron f/2. A comparison of fine grain black & white film and digital images. Except for artistic reasons, when shooting film, most photographers are concerned about excess grain and try to eliminate it as much as possible. Unfortunately, that cannot be achieved all the time. It is an accepted fact of photographic life that faster films do display more grain than their slower counterparts. Obviously, we have to match the films we choose to the lighting conditions under which we take photographs. Grain is also very closely associated with sharpness and detail in a photograph. A coarse grain film simply cannot show as much detail as a fine grain film. Fine grain films are therefore inevitably sharper and for that reason more desirable. The slowest black & white films on the market used to be Kodak Technical Pan, Agfapan APX 25, Efke KB 25 and Ilford Pan F. The Kodak Agfa and Efke films had a standard rating of ISO 25, while the Ilford had a rating of ISO 50. All three of them were outstanding examples of modern, fine grain films, and must be considered the best the market had to offer. Kodak Technical Pan basically was a slow, high contrast film with extended red sensitivity, meant for copying of documents etc. In the appropriate developers, the film would display extremely high contrast as is necessary for such work. However, when developed in Kodak Technidol or similar developers, the film would display a continuous tonal range with near normal contrast. If we go strictly by published specs, there is nothing comparable on the market. Technical Pan had finer grain and a higher resolution than any other film readily available. This should make it the undisputed leader in the fine grain film field. Technical Pan could deliver negatives of incredible sharpness. However, since the film was basically a very high contrast material, it did suffer from relatively high contrast, even when developed in Technidol. When used in bright sunlight, the results were fairly contrasty, too much so for a lot of photographers. The film also had a low exposure latitude and required a very specific developing procedures to make it useful as a standard, pictorial film material. While the performance potential of the film was unquestionably very high, it remained a special purpose film with considerable limitations. The Ilford Pan F is certainly a tremendously capable film, but by virtue of its higher speed, it is not quite capable to deliver the performance of the Kodak Technical Pan or that of the Agfapan APX 25 and Efke KB 25. The Ilford film therefore has to be considered to be on the bottom of this list. As far as published specifications go, the Agfapan APX 25 and Efke KB25 are not quite as sharp and don’t have quite the fine grain of the Kodak Technical Pan. On the other hand, the films easily allow adjustment of contrast by changes in exposure and development times. In addition, they do not require special developers. Any good black & white developer can do an outstanding job with these films. One such developer is Agfa Rodinal. Rodinal is not a particularly fine grain developer, but it displays a very high acutance, which yields extremely sharp negatives. Agfapan APX 25 and Efke KB 25, developed in Rodinal, have proven to deliver negatives of exceptionally fine grain. Enlargements of 15 times have proven to be virtually grainless, and even enlargements of 30 times are still quite acceptable. Of course, this is also very much dependent on the quality of the camera equipment. The question is often asked if APX 25 or Efke KB 25 couldn’t deliver even finer grain if a so called fine grain developer was used. The answer is certainly “yes.” But why? If 15 or 20 times enlargements from these films, developed in Rodinal, show virtually no grain, why try to reduce grain size? It wouldn’t make any visible difference. 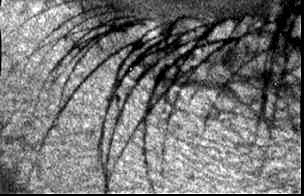 However, the coarser grain structure of high acutance developers usually renders a greater apparent sharpness. A finer grain developer therefore might have the effect of less apparent sharpness due to lower acutance. Reduction of development times in Rodinal will lower the contrast of the negatives while an increase in development time will result in the opposite. In addition, the film can quite successfully be pushed to a rating of 50 and still yield very good results. The film can also be pull processed at a rating of 20 or 15, to yield even finer grain. This will also result in a noticeable reduction of contrast. It is this versatility which ultimately made the Agfapan APX 25 and Efke KB 25 more desirable films than Kodak Technical Pan. Given the right lighting conditions, they are without question some of the best black & white films ever made. This photograph shows approximately the entire negative area. during printing to render an exact 8X magnification. 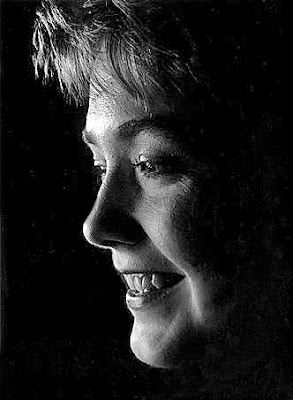 A section of the same 16X enlargement, scanned from the original print. This portion of the negative was scanned from a 35X enlargement. which means that the on-film resolution is even higher. Unfortunately, the overwhelming popularity of digital photography has influenced the photography market to the extent that many films have been discontinued. Of the fine grain black & white films, only the Ilford Pan F remains at the moment and therefore has to be considered one of the best currently available. Of course this brings up the question if digital cameras are capable of delivering images of equal quality and the answer is; definitely, providing we are talking of camera equipment and especially lenses of equal quality. As a matter of fact, given a sufficiently large sensor, especially full 35 mm frame sensors with sufficient resolution, the same lenses might deliver even higher quality images with a digital camera. The limiting factor of maximum resolution on film besides grain size is the fact that light will scatter within the emulsion. This definitely reduces overall resolution and it is the very reason why films will never be capable of delivering all the resolution, all the detail that a high quality lens is capable of. In comparison, most digital sensors do not have this scatter effect, meaning that a less quality reduced image can be produced. Of course the ability of the digital camera system to suppress noise and other image degrading phenomena are a factor also. Following is a photograph taken with a digital camera that shows that comparisons to even the best 35 mm films present no problem. I purposely chose the Leica Digilux 2 which has a modest resolution of only 5 megapixels. However, it should be noted that compared to consumer cameras with similar resolution, the Leica Digilux 2 has a relatively large sensor that allows for larger individual pixels. The result is a higher image quality, especially if the camera is used at lower exposure indices. 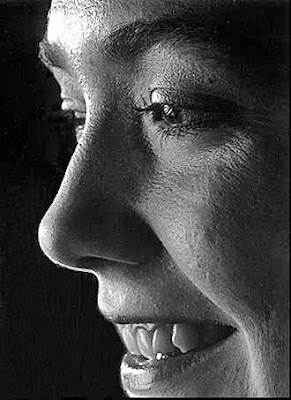 It is obvious that in spite of the relatively low resolution, the resulting images compare quite favorably with the above black & white images taken with exceptional camera equipment and exceptional film. The sharpness of the images shown is such, that some of the small detail is so fine that it wouldn’t show on an enlargement unless enlarged to approximately 16 x 20 inch. This is for instance the case with the above black & white images. 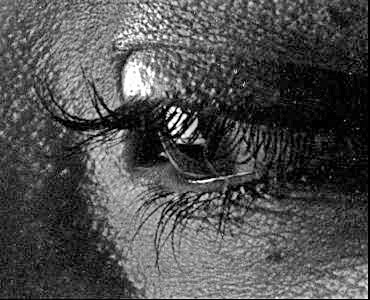 On an 8x10 enlargement, the very fine lashes are invisible. 70 MEGAPIXEL FULL FRAME SENSOR FOR LEICA?